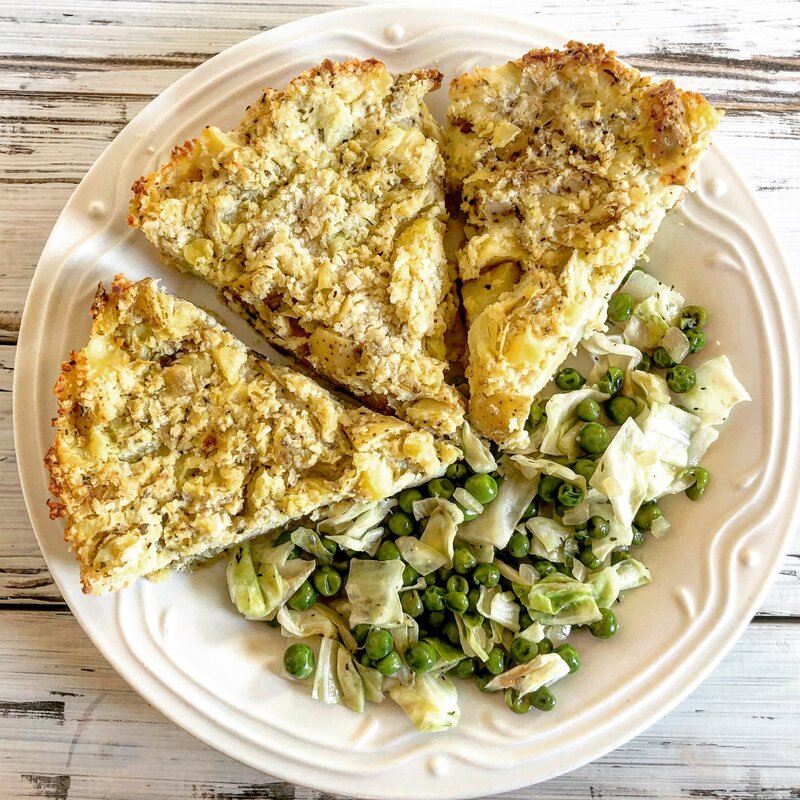 We love potatoes around here so when I started looking into traditional Irish foods to serve for St. Patrick’s Day, potato pie seemed like an obvious choice. 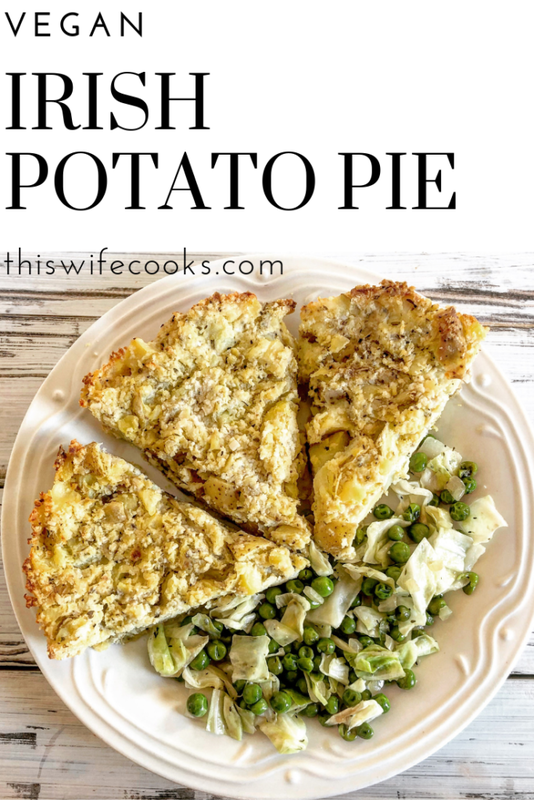 Traditional potato pie, however, is actually quite meat and dairy heavy so this is a new and improved, upgraded take on the classic. Note: For the vegan egg replacement, I used VeganEgg (2 tablespoons powder whisked into 1/2 cup cold water). And if you’re looking for more plant-based Irish food recipes, check out my Glazed Corned Seitan Roast. <– So good! Your Reuben sandwiches will never be the same! Cut potatoes into 1" cubes. To a medium size saucepan, add potatoes, salt, and garlic. Add enough water to cover potatoes at least 1". Bring to a boil then reduce heat to medium. Continue cooking until potatoes are just fork tender. Drain potatoes and, using a handheld masher, mash to combine but still retaining a chunky-like texture. Stir in vegan butter. To a small mixing bowl add egg replacer, Parmesan cheese, oregano, sea salt, and black pepper. Stir to combine. Add egg/cheese mixture to potatoes and stir gently to coat. Into a prepared 9" round pie pan, sprinkle cornmeal in an even layer across the bottom. Pour in entire potato mixture. Gently press evenly into pan and smooth the top. Bake 45 minutes, until lightly golden brown. Allow to stand 10 minutes before slicing. Serve warm or room temperature.